BANGOR, Maine — If you hold a highly successful event at your venue, it makes smart business sense to bring that event back the next year. 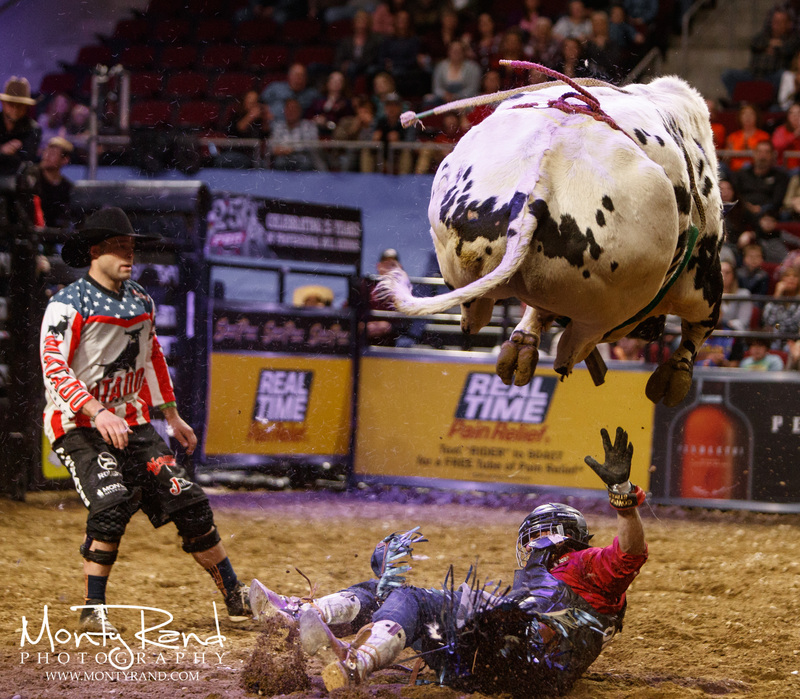 With that thought in mind, Cross Insurance Center General Manager Joe Imbriaco and sports management group Comcast Spectacor are bringing professional bull riding back to Bangor on Saturday night at 7 and Sunday afternoon at 2. The Real Time Pain Relief Velocity Tour, which was the BlueDEF Tour last season, will showcase cowboys who will try to stay on a bucking, 2,000-pound bull for eight seconds. Seventy tons of dirt will be trucked in for the event. There will be over 50 bulls and 35 riders. “It sold out both shows last year and we fully anticipate selling out both this year as well,” said Imbriaco. “We had anticipated that it would do well because it is a national product that goes all across the country and does well (everywhere). But it exceeded our expectations. We were really surprised,” added Imbriaco. He estimated that over 4,000 fans attended each day. Imbriaco said bull riding is a unique event. The event was “profitable for both sides” said Imbriaco, but he would not disclose the financial figures. “It’s an expensive event. You’re talking about bringing in dirt and bulls and you have prize money. But it was worth it for everybody,” he added. He mentioned that the tour participants are “super excited” to come back and he hopes to make it an annual event. “The crowd will determine that. If they keep coming out, we’re happy to do it,” said Imbriaco. The Real Time Pain Relief Velocity Tour is one notch below the top bull riding tour, the Built Ford Tough Series. Riders from the RTPRV Tour can move up to the Built Ford Tough Series based on their performances. Koal Livingston, who leads the RTPRV Tour standings, moved up to the top tour after the Feb. 4 event in Reno, Nevada and has participated in five BFTS events since then. Monticello, Arkansas, native Reese Cates, who won the Bangor event last season, is fifth in the RTPRV Tour points but he has also graduated to the BFTS and his last seven appearances have been in that series. The Built Ford Tough Series is holding an event this weekend in Little Rock, Arkansas. Two riders who participated in last year’s Bangor event are among the top 10 in points in the Built Ford Tough Series. Jess Lockwood from Volborg, Montana, who was 14th in Bangor, is second and Brazilian Marco Eguchi, who tied for 19th, is seventh.